Don't sit for hours in a waiting room, see a doctor online instead. Looking for a GP in Exeter? 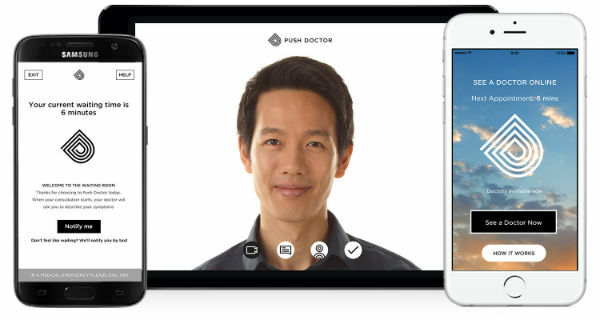 See a doctor online in minutes instead for £30. As the second-biggest city in Devon, Exeter has to provide healthcare services for a lot of people. This isn't always an easy task and waiting times at walk-in centres can be high. With Push Doctor, you can have an appointment online at a time to suit you. You can book a time that fits around your schedule, or see a doctor right away in just minutes. You'll see a doctor face-to-face on your smartphone, tablet or desktop computer and get all the help you need. Appointments are available from 7am until 8pm, seven days a week, including Bank Holidays. In many cases, a doctor doesn't need to physically examine you to reach a diagnosis. Research has shown that in fact 80 per cent of patients can get the help they need just by talking to their doctor. Our GPs can see you during your video consultation, so you can show them an affected area as well as discussing your symptoms. This works for a range of issues, including mental health, skin problems and hair loss. They can issue prescriptions online, provide sick notes and referrals for specialist treatment and testing. Learn more about walk-in centres in Exeter below. If you're still looking for a walk-in centre, Exeter Walk-in Centre is centrally located and can see patients for a range of conditions without an appointment. It closes at 4pm every day. Looking for pharmacies in Exeter? Find your nearest Exeter pharmacy and collect your medication easily. 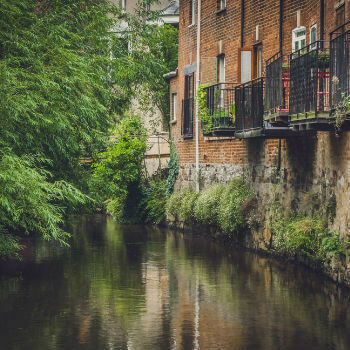 St Leonards Pharmacy is right in the heart of Exeter, within a five-minute walk from the city's famous cathedral. It's open seven days a week.